Schwartz Hannum PC is thrilled to announce that it has been recognized as a Recertification Provider by the Society for Human Resource Management (SHRM). As a result of this certification, SHPC's webinars, seminars, and Boot Camps are eligible for Professional Development Credits (PDCs), as they relate to the SHRM Body of Competency and Knowledge (SHRM BoCK™). SHRM Certified Professionals (SHRM-CP®) and SHRM Senior Certified Professionals (SHRM-SCP®) are eligible for PDCs. SHRM certification is the only HR certification offered by the world's largest HR membership organization, and is applicable across industries, geographic borders, job responsibilities, and career levels. As the industry leader in HR professional development, SHRM has supported more than 100,000 employers representing 140 million employees worldwide. The Society for Human Resource Management is the world's largest HR professional society, representing 300,000 members in more than 165 countries. For nearly seven decades, the Society has been the leading provider of resources serving the needs of HR professionals and advancing the practice of human resource management. SHRM has more than 575 affiliated chapters within the United States and subsidiary offices in China, India and the United Arab Emirates. For more information about SHRM, visit the organization's website at www.shrm.org. 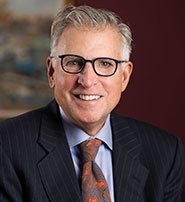 Schwartz Hannum is pleased to announce that Senior Counsel Joseph E. Santucci, Jr. has been recognized by Best Lawyers in New England as a 2019 "Best Lawyer" in the categories of Employment Law - Management, Litigation - Labor & Employment, and Labor Law - Management. A nationally-renowned labor law attorney, Joe has extensive experience advising clients with collective bargaining, labor counseling and litigation, and arbitration. Joe has been selected for inclusion in Best Lawyers for almost 20 years at local, regional, and national levels. Best Lawyers is the "oldest and most respected peer-review publication in the legal profession," and recognition is widely regarded as a significant honor conferred on a lawyer by his or her peers. 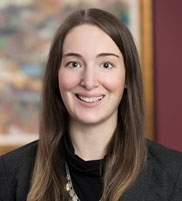 Schwartz Hannum PC is thrilled to announce that Rachel Adams Ladeau has joined the Firm's Labor and Employment and Education Practice groups. Rachel assists employers with all aspects of labor-management relations, including collective bargaining agreement negotiation and administration, as well as labor arbitrations and unfair labor practice charges. Rachel also counsels employers in all other areas of the employer/employee relationship and regularly handles employment litigation and administrative agency claims. Before joining Schwartz Hannum PC, Rachel practiced labor and employment law at McLane Middleton in Manchester, NH, and at the Washington, DC office of Morgan, Lewis & Bockius LLP. Rachel received her J.D., with high honors, from George Washington University Law School in 2013, where she was a member of The George Washington Law Review and a Dean's Fellow, and was elected to the Order of the Coif. She received her B.A. from Pomona College in 2007.